If you are facing criminal charges, your freedom and your future are at stake. Even if jail is not likely, an arrest or conviction could ruin your reputation and affect your ability to gain work, housing, financial aid, college admission or military enlistment. For almost 30 years, Minnesotans charged with crimes have put their trust in criminal defense lawyer Kevin J. Short. From his office in Minneapolis, Kevin Short has served clients in nearly every county in Minnesota including in Hennepin, Ramsey, Dakota and Washington counties who are facing charges related to: Federal crimes: Kevin Short represents clients throughout Minnesota facing all types of federal charges and investigations, including white collar criminal offenses such as embezzlement, mail fraud, wire fraud, money laundering, insider trading, environmental crimes, healthcare fraud, and securities fraud, along with drug conspiracy and weapons charges. Felony offenses: Kevin Short can protect your rights when you are facing serious charges in state court related to murder, criminal sexual conduct, controlled substance crimes, assault or theft. Misdemeanors: Charges like DUI, traffic violations, disorderly conduct and other misdemeanor or gross misdemeanors can have a negative effect on your future. Kevin Short can help you resolve them. Get An Attorney With A Proven Track Record Of Success On Your Side Since 1978, Kevin J. Short has spent his entire legal career in the criminal law field, first as a federal law clerk and state court prosecutor and, since 1987 as a private practice criminal defense attorney. A veteran of more than 100 jury trials, few attorneys in the Twin Cities or the state have the record of success that Kevin Short has had. Do Not Trade On Experience. Contact Kevin Short Today For A Free Consultation. Making the right choice when obtaining legal representation can be the difference in how your criminal charges are resolved. Kevin Short has the resources and skills to help you achieve the best possible outcome. Contact his law firm today, either online or by calling 612-444-6733 to schedule a free consultation. Credit cards are accepted. If you are convicted of a federal crime, there is little to no chance that you will receive parole. When you are facing years in federal prison and hundreds of thousands of dollars in fines, restitution and asset forfeiture, make the right choice when hiring a lawyer. 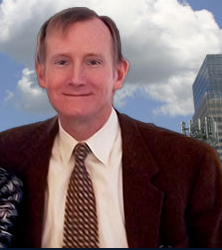 Based in Minneapolis, Minnesota, attorney Kevin J. Short serves clients facing serious federal charges including: White collar criminal charges including mail fraud, wire fraud, money laundering, bank fraud, investment fraud, securities fraud, environmental crimes, health care fraud, defense contracting fraud, public corruption crimes and embezzlement Drug crimes and drug conspiracy charges Weapons trafficking and other violations Federal computer crimes --Why Experience Matters When It Comes To Federal Criminal Charges Federal court is the "major league" of the criminal justice system. Federal law enforcement and federal prosecutors are highly skilled and have nearly unlimited resources at their disposal. When they charge someone with a crime, that person usually ends up in prison. Working with an experienced attorney like Kevin J. Short is critical when so much is at stake. A former prosecutor and federal law clerk with more than 36 years of legal experience, Kevin has the skills and knowledge to level the playing field. He understands the tactics federal prosecutors will use against you and how to counter them. With several dozen federal jury trials under his belt, Kevin Short knows how to fight and win in cases where prosecutors believed they had an open-and-shut case. Additionally, Kevin has provided effective pre-charge representation, helping several of his clients receive less serious charges or escape charges altogether. In one instance, he convinced prosecutors not to pursue the death penalty against a client indicted under the federal death penalty statute. --Protect Your Rights. Contact Kevin J. Short Today. Federal criminal allegations are too serious not to receive the best representation possible. Contact Kevin Short's law firm online or call 612-444-6733 to schedule a free consultation as soon as you learn you are under investigation for federal crimes.